Fact: Carla Hall is a one-stop-shop of great recipe ideas. The former Top Chef finalist and co-host of ABC’s The Chew recently hosted a Thanksgiving-themed event where she offered ways to customize menus with the help of T.J. Maxx, Marshalls and HomeGoods products. So when we had the chance to ask her a quick round of Thanksgiving questions, we didn’t hold back. From what seasonal fruit is the most underrated to how to make those egg nog-haters happy, Hall gave us clutch holiday advice. ESSENCE: For those looking to make a mac-n-cheese that sets itself apart from the rest, what can they use to remix it? Carla Hall: There are so many ways to remix mac and cheese and add your own personal touch to it – personally, I love a dish with a twist and little kick. I suggest using your favorite flavors. Grate a few different cheese blends (as many varying from hard to soft) that work well together for one dish. Or use one strong cheese and compliment with a spicy mustard or horseradish like my Havarti and Horseradish Stovetop Mac and Cheese. ESSENCE: Who’s the designated cook in your home for Thanksgiving? Does everyone expect you to throw down? 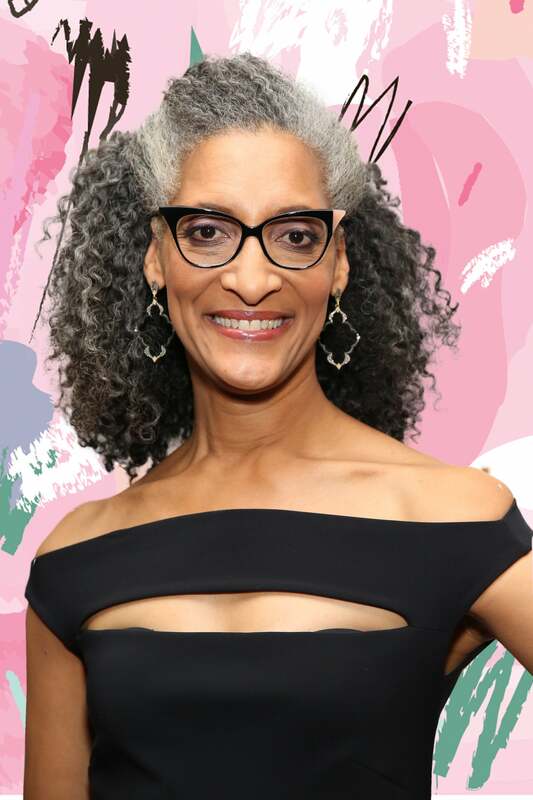 Carla Hall: No throw downs, more a team effort! In my family we all cook together, it’s a really fun tradition I started a few years ago – like an organized potluck. I started to divvy up my family recipes weeks in advance of any holiday and different family members got different sides, starters, desserts. Now everyone has something to bring to the table. It’s a great way to break up a big meal and also pass down traditions. My sister and mom now have their favorite dishes they have to make, and my nieces and nephews are learning how to make Granny’s dishes. ESSENCE: What’s a seasonal vegetable or fruit that can be used in a variety of dishes? Carla Hall: I love to use peaches all year round – a peach cobbler is a great dessert for winter meals too, it’s a nice compliment with traditional holiday flavors cranberry and mint. The tip is you need to use frozen peaches for full flavor. Bring it together with leaf cut outs to decorate a buttery crust. ESSENCE: One has to go —sweet potato or pumpkin pie? Carla Hall: I am a sweet potato fan, nothing against pumpkin, but I have to have sweet potato pie at the holidays. ESSENCE: For those that hate egg nog, what’s a fun drink to replace the beverage? Carla Hall: Seasonal mocktails are a great alternative, and it doesn’t have to have a cream base. I love to make a simple syrup with cranberries. Serves a double purpose – let the cranberries soak in water, sugar and ginger for a day or two. Then use the cranberries candied for desserts but save the syrup for spritzers! My recipes can also be found on GiftMyGathering.com! Check out the site and sign up for a holiday of your own. I am so proud to work with T.J.Maxx, Marshalls and HomeGoods on this campaign to give away 5 holidays to 5 special families this season. And I mean everything —all you have to do is sign up and share a story on why your family is the greatest gift – and if you win they will decorate the house, trim the tree, cater the meal, gift you all. It’s pretty amazing!